NooElec and AmateurRadio.com are teaming up to give away 50 prizes including a HackRF One SDR Transceiver Package. 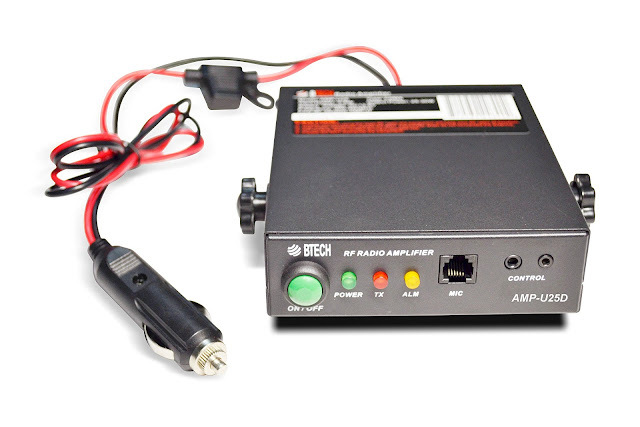 The giveaway is open to licensed ham radio operators worldwide and NooElec will pay for the shipping. The deadline to enter is Sunday 25 February 2018 at 20:00 UTC. I know how he feels... it's hard to blog sometimes and it doesn't require a fraction of the effort to produce a podcast. Good luck Cale on your next endeavor! "However, I began to realize just how much of me it took to produce quality content and maintain the brand. In October of 2017 I took a break from my regular show production with a promise to return in 2018. I upheld that promise but soon realized that the continued pressure to perform and create was more than I was willing to maintain anymore. With that understanding I have decided to discontinue, in it’s entirety, the Ham Radio 360 Podcast. I plan to maintain the HamRadio360.com Website and Podcast Feed of past shows and content as a contribution to the Amateur Radio Hobby." Almost 6 years since this post... maybe the FT-818 is real. Thanks to Razvan for the heads up. Wow... it has been probably a year since I updated the list. I bet I added 40-50 to The Radios page. Radioddity released an update for the software for the RD-5R. I post a lot about Alexa and other similar devices, but I had not thought about adding one to the ham shack. Radioddity posted the RD-5R on their site and you can order it for $75. 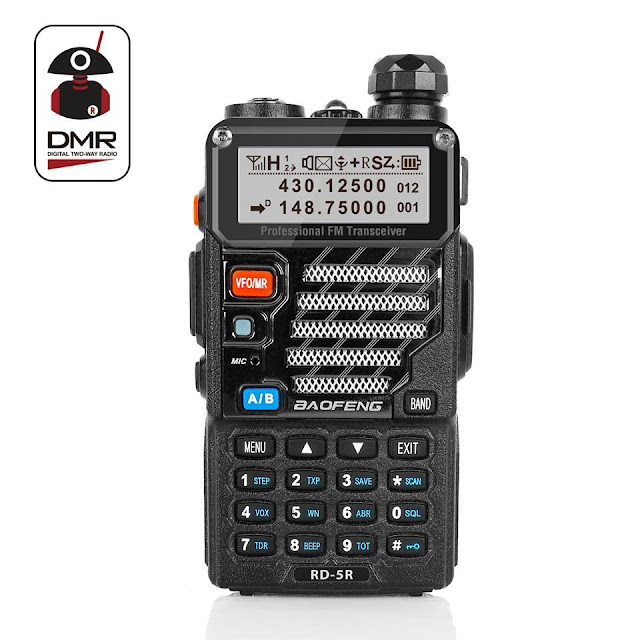 As the first Radioddity-Baofeng co-produced DMR, RD-5R is featured with solid quality and affordable price. 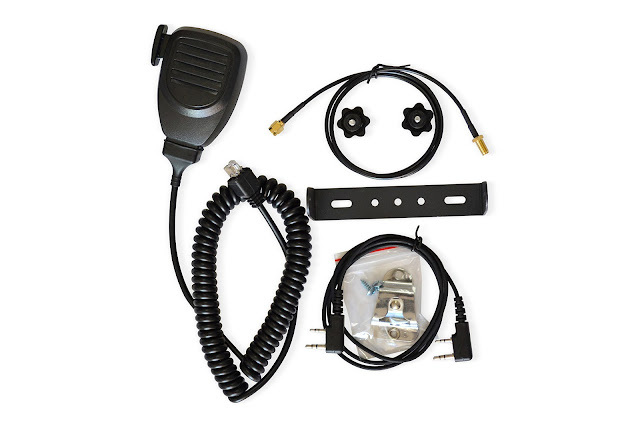 The FM radio function, LED flashlight and built in VFO mode make it stands out from other DMRs. Sticked with classical design of the 5R family, this time RD-5R is a true dual band dual time slot DMR. Fingers crossed that this will be a better radio than the DM-5R. Projected price is approximately $70 USD. In the comments, they note that the "RD-5R share pretty much the same CPS with GD-77 and hopefully this will make it a lot easier" to program and thus it will have all the GD-77 DMR functionality. K0NR has an antenna recommendation for a dual band handhelds. DCRainmaker is my go to resource for information on running watches and other, similar tech. He got to do a ride along with a pro cycling team in their support car. He talks about some of the radio problems and what looks like an Alinco DR-635 makes an appearance. A cool site to generate DMR-ID import files for various radio types. I've seen the phones, but this is the first tablet with UHF that I recall. Now shipping - The first Android Tablet with UHF DMR/Analog Transceiver. I can listen to one of my favorite local repeaters on Broadcastify without a radio.